This delicious Stuffed Tomato and Arugula Focaccia is a great snack, perfect with a glass of wine or as a side for pasta dinner. Today, I’m so pleased to help celebrate “The Messy Baker”, both the self-described messy baker herself, Charmian and her new cookbook, of the same name. Creating a cookbook is a huge undertaking and an all-consuming investment of time, energy and ingredients. When the result is such a lovely and useful cookbook, it’s so worth celebrating. So together with a number of other food bloggers, we are all baking up something from this great new book. 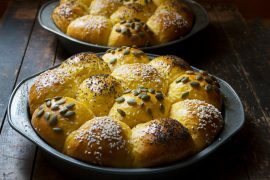 Before I tell you about this lovely bread though, I wanted to tell you a bit about “The Messy Baker” cookbook. Some of you may know Charmian from her Messy Baker website. It’s been a favourite of mine for a long time. I’ve always loved Charmian’s writing style and of course, her great recipes. The Messy Baker Cookbook has 75 new recipes, both sweet and savoury. Inside, you’ll find large, beautiful photos of every recipe, which for me, is a must in a cookbook. I also loved the chapter names – “Dippable”, “Sloppy”, “Smudgy” and my personal favourite “Drippy”. Each one contains recipes to suit whatever eating or baking mood you’re in. I also appreciated the notes on each recipe for the “Commitment Level” of each recipe, maybe telling you it will be “ready in an hour or less” or that the recipe is “done in stages”, so you know before you start what you’re getting in to. There were so many tempting recipes that it was very hard to pick just one to share with you here. But since I’m all about the baking with yeast, I picked her fabulous Stuffed Tomato Focaccia, full of sun-dried tomatoes, Parmesan and arugula. I can’t begin to tell you how much we enjoyed this lovely bread. I have never made stuffed focaccia and honestly, it has never even occurred to me to stuff focaccia. Having made and eaten it now, I can only say that it’s a brilliant idea! I’ve often found the bread to topping balance is a bit off in many focaccia I’ve eaten – at least to my taste. I’ve always wanted a bit more of the topping and a bit less of the bread. And that is where the brilliance in this stuffed focaccia lies – it’s the perfect ratio of topping to bread. 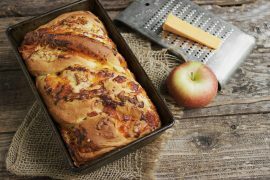 Charmian notes that this is best right after it’s baked, but if you’d like to crisp it up later, just pop it under the broiler for a bit to give it new life. 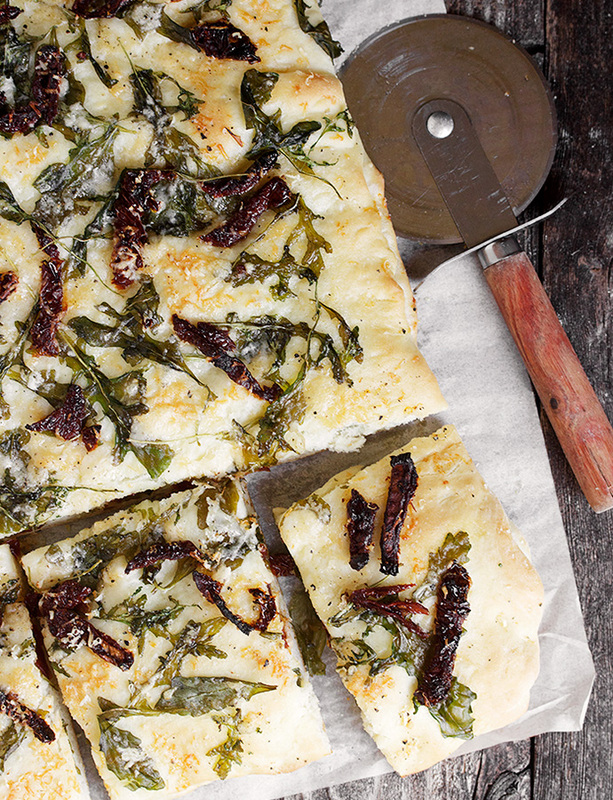 This focaccia would also freeze well, if you have more than you can eat right away. A delicious savoury treat, great eaten alone with a glass of wine or enjoy it as a side with any meal. Makes 1 large focaccia. Best enjoyed right after it's baked, but you can give it new life by popping it under the broiler for a few minutes. Leftovers can be frozen. To make the focaccia dough: In a stand mixer fitted with a paddle or in a large bowl using a wooden spoon, combine the yeast, 1 cup of the flour and the salt. In a small saucepan over medium-low heat, combine the water and milk and gently heat until just warm (about 110° F.) Add the oil and whisk to combine. Pour evenly over the flour mixture and beat on medium speed for 2 minutes. Add the remaining 2 cups flour, 1/2 cup at a time, until the dough pulls away from the side of the bowl.If mixing by hand, when it becomes too hard to mix, turn onto a floured surface and knead in the flour. Knead until the dough is smooth and elastic. Oil a large bowl, place the dough in the bowl and turn the dough to coat it with the oil. Cover with plastic wrap and leave to double at room temperature, about 90 minutes. To prepare the toppings: While the dough rises, line a 10-15-inch rimmed baking sheet with parchment paper and sprinkle lightly with cornmeal. If using oil-packed sun-dried tomatoes, drain them. Turn the dough onto a large, lightly floured cutting board and divide the dough in half. Roll 1 piece into a 10x15-inch rectangle. Slide the dough off the board onto the baking sheet; press the dough so it covers the bottom and sides. Sprinkle half each of the arugula, cilantro, tomatoes and cheese over the surface. Drizzle with a bit of oil; Roll the second piece of dough into a 10x15-inch rectangle and slide it on top of the first, pinching the sides to seal. Sprinkle with oil and top with the remaining arugula, cilantro, tomatoes and cheese. Add a sprinkle of coarse salt and fresh cracked pepper. Let rise, uncovered, for 40 minutes. While the dough is rising, preheat the oven to 400° F.
Bake for 20 to 25 minutes, or until golden brown. Allow to cool on the baking sheet for 5 minutes before transferring to a rack to continue cooling. Eat while still warm. Recipe from The Messy Baker by Charmian Christie © 2014. Published by HarperCollins Canada. All rights reserved. Hi Diana and thanks for pointing that out! I guess it disappeared when I changed recipe cards. I’ve found it and put it back :) Enjoy! Thanks Courtney. I had a chance to try the Homemade Oreos as well this past weekend. So good! Oh wow! This is almost too pretty to eat! 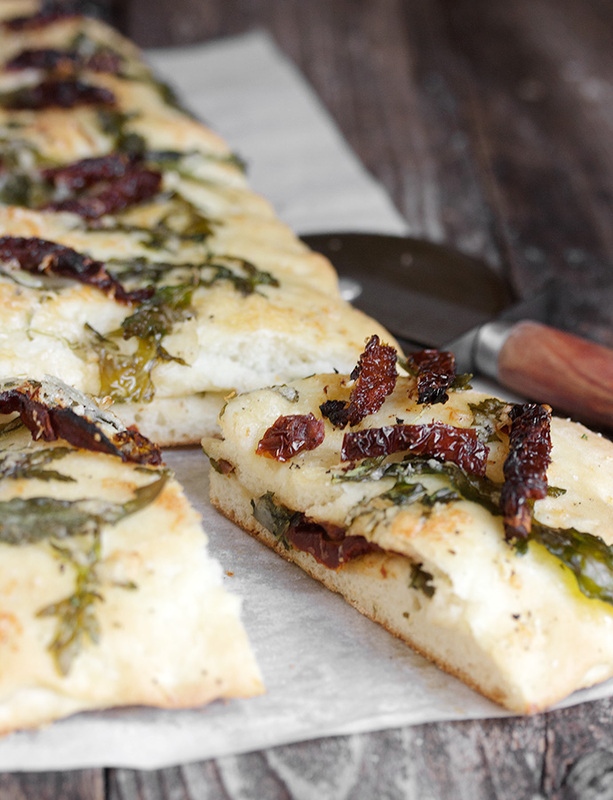 Thanks for opening my eyes to all the possibilities a stuffed focaccia holds! Gorgeous photos. I was so immersed in them, I had to go back to read your text! Oh, my! The aroma! I am A Canadian Foodie, not An Acadian Foodie – though I wish there was one of those! Thanks so much, Valerie. Sorry for messing up your name. I was going cross-eyed with that list yesterday updating it ;) Fixed now! I’m obsessed with all of the savoury recipes from the book! This looks amazing! I’m so glad you could see past the cilantro and give this recipe a try. I adore stuffed focaccia for the same reason you do — the ratio is way better. Thanks so much for your review and kind words. I look forward to connecting with you in person not just in cyber-space! Loved this, Charmian! And I’ve been working around cilantro for years ;) Can’t wait to see you on the weekend. Hope the weather stays as nice as it’s been the last week. Colours are beautiful, too! This looks amazing! Adding it to my “must make” list! Thanks Mardi. You’ll love this! What a pretty focaccia! I’ve never tried making my own before, but stuffed definitely sounds like the way to go. :) And that books sounds like so much fun! Thanks Alexandra. And yes, it’s a great cookbook that’s also a fun read! I love focaccia, what a gorgeous bread! Thanks so much, Laura. This one’s a winner! 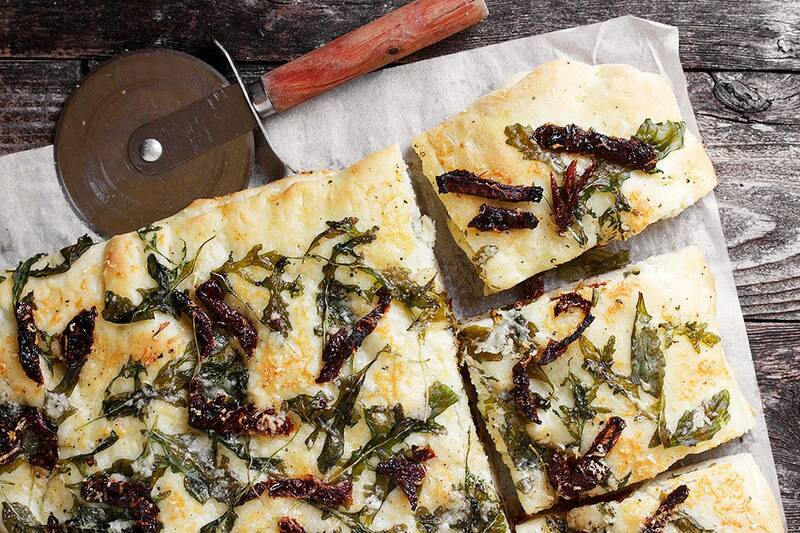 This focaccia looks delicious. Never thought to stuff a focaccia either. Hmmm…my world just opened up with possibilities! And love those chapter title names. So fun! 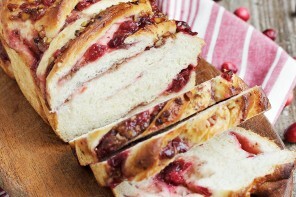 Great looking recipe, and I’m now glad to have discovered the Messy Baker blog! It was delicious, Ksenia and so glad you discovered Charmian’s blog, too! Homemade focaccia is definitely the best. LOVE this! Thanks Katrina. 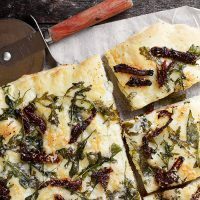 Loved this focaccia!